Fire Fighters right across the globe love a Cunningham salvage sheet. Our sheets can be manufactured to your exact sizes rather than purchasing a standard size that doesn't work for your needs. 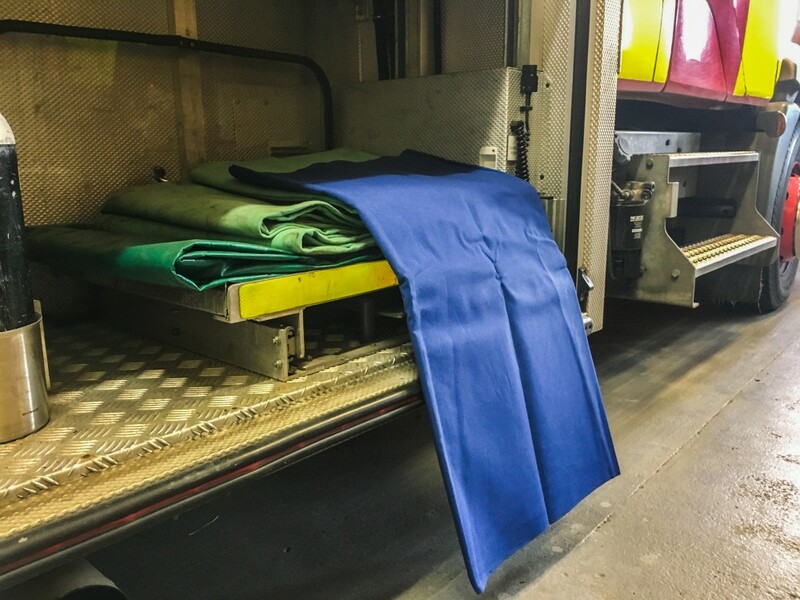 We have been dealing with fire authorites for years supplying them with covers that are tough and durable to meet the extreme enviroments they are put through. Available in our 610gsm PVC, 900gsm PVC or our very popular 16oz Cotton Canvas, these covers can be finished off with robost edges and eyelets.